Nestling snugly in the lap of the snow capped peaks of Panchchuli, the Darma valley in Pithoragarh district is endowed with abundant scenic grandeur. One hundred and thirty four kilometers from Pithoragarh and 35kilometres from Dharchula is the last bus terminal Sobla. 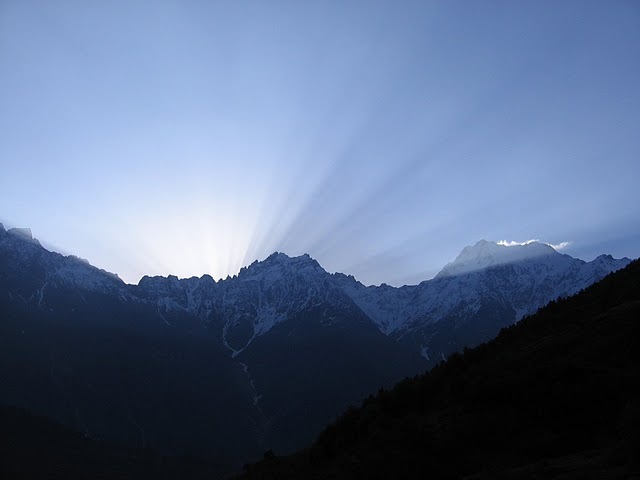 From Sobla to Panchchuli Glacier is a 40kilometres trek. The route to the glacier abounds in exotic scenery, snowcapped mountains, gushing streams, alpine meadows and a rich variety of flora and fauna. And from the glacier one can see the Panchchuli peaks in their towering glory. Package will start from evening after tea on first day. Payment of breakfast and lunch will be made by the party on the arrival if they reach before the start of the package. On last day of the trek food and accommodation will be provided by KMVN. Reporting Dharchula. Package starts from evening. Includes accommodation in Village Houses/ Tents, Vegetarian food, Transport from Dharchula to Dar and from Dar to Dharchula and Guide. NOTE: Package will start from evening after tea on first day. Payment of breakfast and lunch will be made by the party on thearrival if they reach before the start of the package. 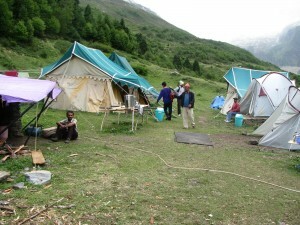 On last day of the trek food and accommodation will be provided by KMVN. Rs.5,325+ 2.58% Service Tax Per Person. If you have not decided yet or wants to customize tour itinerary or hotels listed above in "7 Nights Panchachuli Trekking Package from KMVN Rs.5100/-", then we can change the travel itinerary and make a personalized, tailor-made holiday package, especially for you. We can modify this travel package as per your itinerary, budget, duration and the tourist places you would like to visit, including transportation and airfare should be included or not. Please fill the form below to contact us.